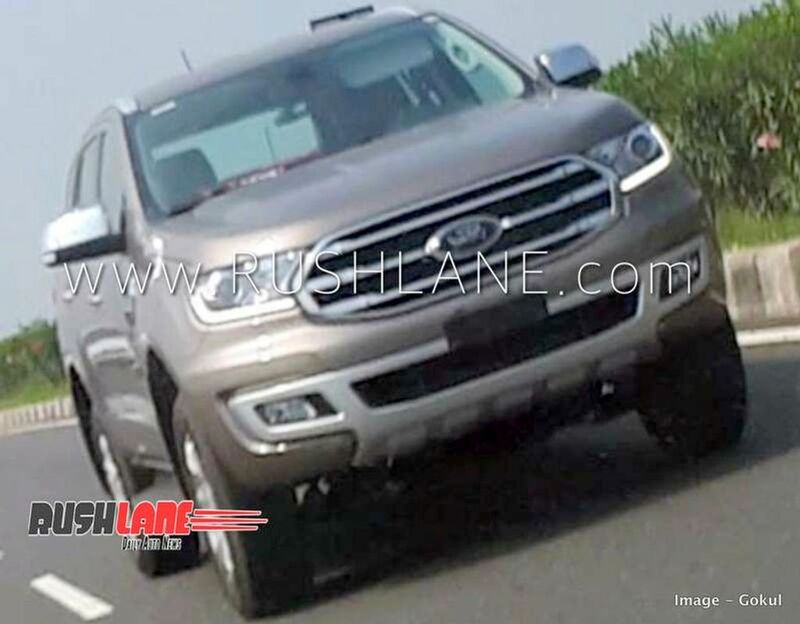 Ford appears to have begun testing the Endeavour facelift in India as the test mule has been spotted on the public road for the first time. The company hasn’t camouflaged the model and it reveals all the changes. The front gets new three-slat chrome finished grille along with revised bumper and fog lamp inserts, which gives more muscle look for the SUV. The side continues to be same except for new 20-inch alloy wheels and the rear get tweaked tail lamps along with revised bumper. The interior doesn’t get any major changes and the company might introduce a dual tone colour with optional ebony dark colour to give a premium feel for the cabin. The Endeavour will also come with a new touchscreen infotainment system with Sync 3 software and connectivity options include Android Auto, Apple CarPlay and Mirror link. 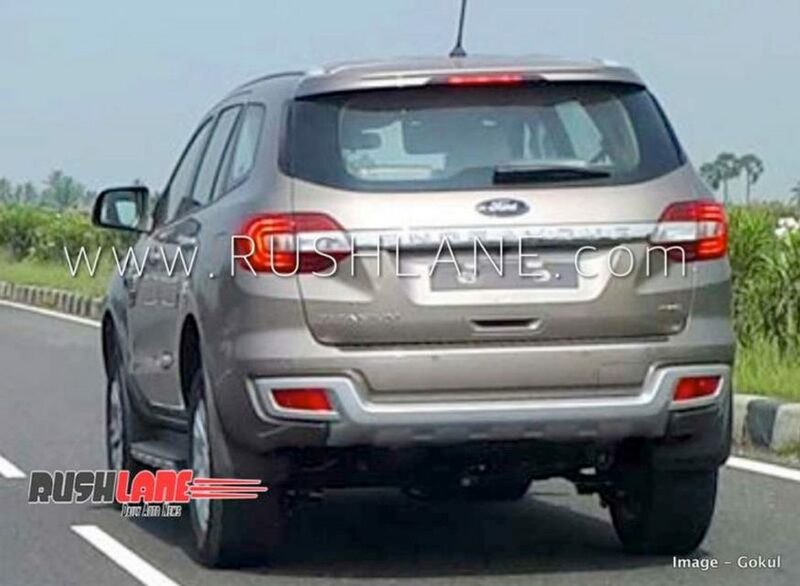 In the International market, Ford offers safety features like auto emergency braking with pedestrian detection, which is expected to be introduced in India also along with six airbags, ABS and more. The updated model also comes with features like keyless entry, push-button start, leather seats, reverse camera with parking sensors, automatic headlamps with projectors and integrated DRLs, rain sensing wipers, cruise control, electric sunroof, terrain management system, tyre pressure monitoring system, front parking sensors and more. In India, Endeavour is powered by 2.2 L diesel engine with 160 hp and powerful 3.2 L engine with 200 hp. But the company is expected to replace this engine with new 2. L turbocharged diesel engine, which made its debut with the facelift model in Thailand and it is available in two different configurations. The entry-level model will get the less powerful spec of 2.0 L engine with 180 PS and 420 Nm. The top end model gets 215 PS and 500 Nm. This engine will be mated to all new 10-speed automatic gearbox, which offers more performance and better efficiency also. The Endeavour will be available in two-wheel drive and four-wheel drive configurations as the launch is expected to take place sometime next year. It will have a new rival in the form of Mahindra Alturas which is launching on November 24.